I was blog-tagged by the matchless Johanna Pitcairn. Essentially, this means I have to tell you seven things you don’t know about me. Since I don’t know who’s reading this, you may know these things, I can’t guarantee it. In my twenties I used to help run a live music venue in Bury; it was called Gigs and was held at the Derby Hall. Possibly the most notable thing about this era, other than my then shoulder-length hair, was that I was the lighting operator on the night that Joy Division performed. This wasn’t the most notable thing about the evening, however. This was the performance where a substantial fight arose, lots of beer glasses were thrown and a legendary rock and roll event occurred. Where was I? Cowering under the lighting desk. On the evening, I didn’t realise that this was history in the making and one of the last performances of one of the greatest pop songs ever written. If you’ve not seen the truly superb film Control, then I recommend it highly – even if the gig in question is portrayed in the wrong venue. I’m fairly given to doing mad things. In my twenties I formed a band, with friends. The thing is – we played cardboard instruments, essentially miming out an intricate set of visual gags over a 10-minute set. It was a joke. However, after several gigs and building so many cardboard guitars, drums, keyboards and amps that we needed to go to gigs in a van, we realised things were getting out of hand. I don’t know what was the tipping point – seriously considering applying for an Arts Council grant, or being invited to tour with a real rock band. We had to turn our backs on success: it was all getting too commercial for us. Yes, I have photos. No, I’m not posting them. At school I was only really good at two things: art and English. I decided that a career in graphic design trumped one in writing and went to art college. It’s served me well: I run my own marketing business. But it was the wrong decision. I still draw, but not terribly well or especially often. You can judge for yourself. So many of us don’t get to do the things we really want in life. 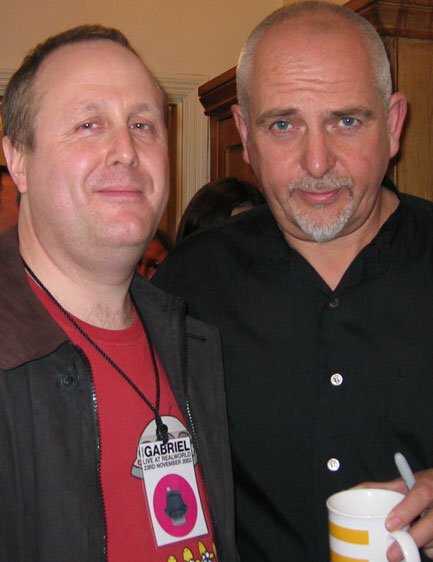 I had the good fortune to meet one of my all-time heroes, Peter Gabriel, whose work and ethics I enormously admire. I won a contest to attend a private concert at his recording studios in Box, Wiltshire – only 100 people were there. It was the best. And yes, when I met the big man, I was verbally a clumsy oaf. I have a collection of around 80 Daleks. Really. I’ve always loved Doctor Who and especially the Daleks, but as you grow up these things can slide. In 2002 I had a serious neck injury and was incapacitated for months. During this time my Dalek obsession was rekindled. But don’t worry, I’m not really obsessed. Close Encounters – the bit at the end? Where the aliens invite Richard Dreyfuss to leave Earth. I would go, even if it meant I’d never taste curry again. I’d love to fly into space; stand on the moon. I believe mankind’s destiny should have been in the stars and we’ve essentially blown it. I think my all-time favourite place (currently, these things do shift, don’t they?) 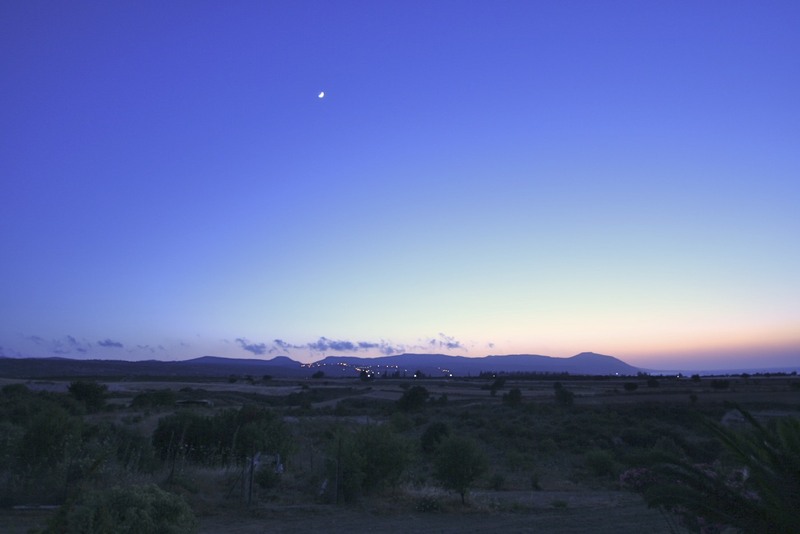 is the Akamas peninsula in Cyprus. I also love New York, London, Scotland, Lancashire and Florida – though not necessarily in that order.